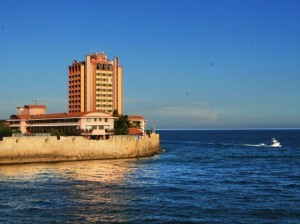 WILLEMSTAD - The sale of the Plaza Hotel is still not finished yet and the Minister of Economic Development Steven Martina does not understand why the American Allied United Financial Corporation came up with surprising new demands after the group had previously bought the hotel at auction. The Minister is not a party in the case, but he considers it important that the sale is completed. Between Girobank and the buyer, new arrangements have been made regarding the payment, so he knows and before the end of today the business must be completed. If not, Martina thinks other investors are already ready to buy the hotel. The way it has gone, however, is disappointing.